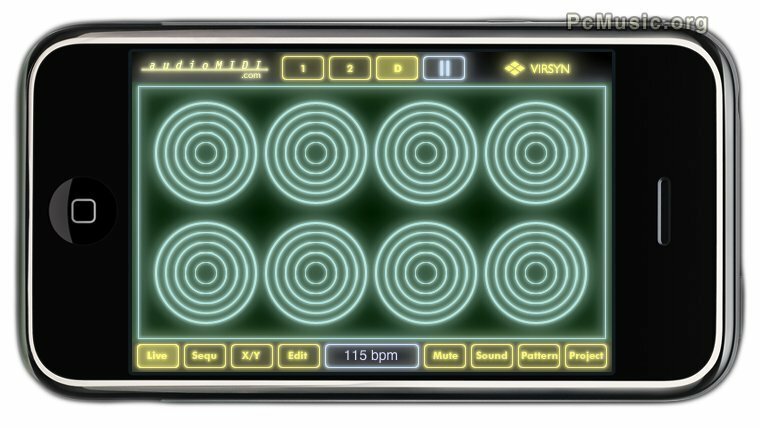 VirSyn and audioMIDI.com have announced the release of iSyn Virtual Music Studio software for Apple iPhone and iPod Touch platforms. Tremendous music creation features including two studio-quality, fully programmable virtual analog monophonic synthesizers and a fully-editable sample-based drum machine featuring eight drum "kits". iSyn lets users play music live with an onscreen piano keyboard and eight drum pads for live "jam" sessions or users can use the grid sequencer mode to easily and visually enter notes for automated playback of two synthesizer tracks and one drum track. iSyn can even play a beat and synth track while users play live over sequence tracks for a one-man "iPhone band". iSyn lets users subtly or wildly modulate sound parameters with its X/Y touch screen or by tilting front to back and left and right using iPhone's accelerometer motion-sensing technology. iSyn is exclusively available through the Apple iTunes Online App Store for €3.99.